Dream Theater is currently touring Europe, celebrating the 25th anniversary of the album Images & Words. I must admit I was a little bit surprised that the band that played the Heineken Music Hall (now called 'AFAS Live') twice during the previous tour now chose to play in (the enlarged) 013, still a smaller venue than the HMH in Amsterdam. Even more surprised to hear Dream Theater will return to the Netherlands near the end of this tour (AFAS LIVE on APRIL 25). Anyway, the venue was packed with fans eagerly awaiting the live performance of the previously mentioned second album of the inventors of prog-metal. 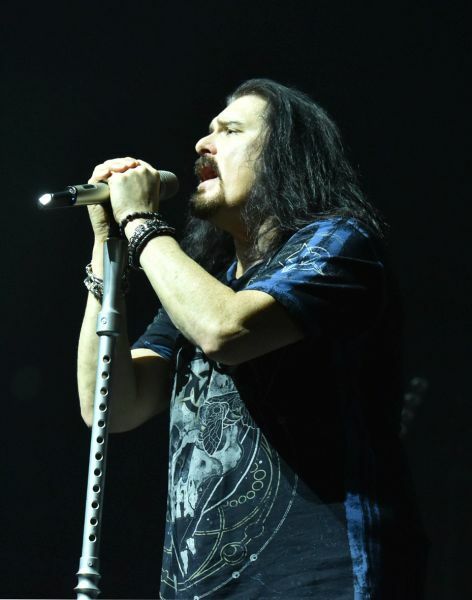 As James LaBrie stated during the concert, the single Pull Me Under proved to be a huge success and that particular single opened many doors for the band and brought Dream Theater to world wide recognition. Like many fans I had been wandering whether LaBrie could perform the album as it was recorded 25 years ago. The answer to that question could not be given until after the break, because the band performed a selection from their previous albums first…. The stage set turned out to be very basic: no big screens, spectacular visuals or lasers, just a solid light show and 5 musicians eager to give their best. Not even a huge reproduction of the Images & Words cover during the second half of the show. Positioning of the musicians as usual: Petrucci on the far right side of the stage (from the point of view of the audience), Myung on the far left and in between on an elevated plateau the wizard, Rudess, on the inner left and the impressive drumkit of Mangini approximately in the center of the stage. With the emphasis on the albums released in the new millennium, Dream Theater brought a nice selection of tunes. 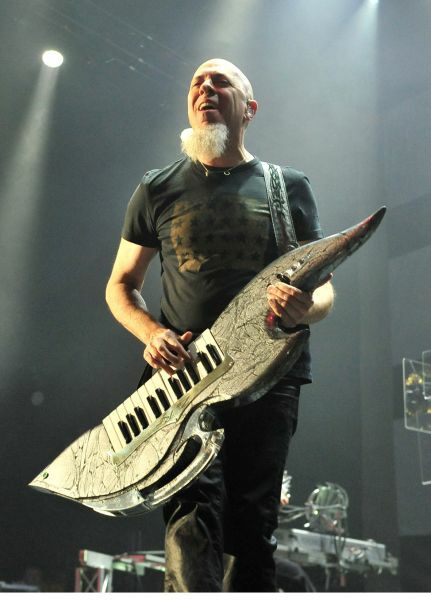 The sound was crystal clear but it's not the first time the guitar was a little tool oud, especially compared to Rudess' keys. Only when he was duelling with Petrucci with his keytar the level of sound was about equal. Furthermore it's a pity that one of the best bass players on the planet didn't get the level of amplification he would so richly had deserved and that also is a phenomenon that has puzzled me for years, because each and every time I go to a Dream Theater-show it's the same thing but then again, is it very different from the sound on the albums? Because of the limitation of having just one guitar on stage one would expect a bit more room for the sound of the bass, but no, unfortunately the sound-engineer would probably not agree with me. Even during his bass solo, inspired by the great Jaco Pastorius the sound wasn't nearly loud enough. During the first half of the show only a few notes were missed, but nothing special really. The response from the venue was genuinely warm and enthusiastic so maybe I'm too much of a critic. To be honest I have never liked LaBrie's voice in the higher regions, but on the other hand when he uses his soft and sensual voice, that side of his vocal performance is so much more appealing to me. What struck me during the whole show was the level of professionalism. 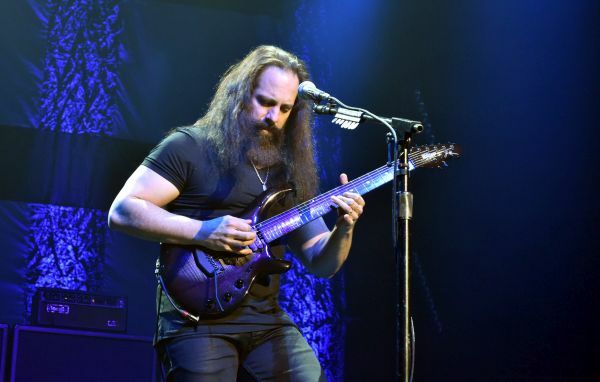 As I mentioned I have been to quite a few Dream Theater-shows and performing this music is always challenging and requires a lot of concentration, I can relate to that perfectly well. Compared to previous shows my impression is the playfulness seemed less. Myung never showed much of a facial expression and this show was not much different, he is just an awesome musician. 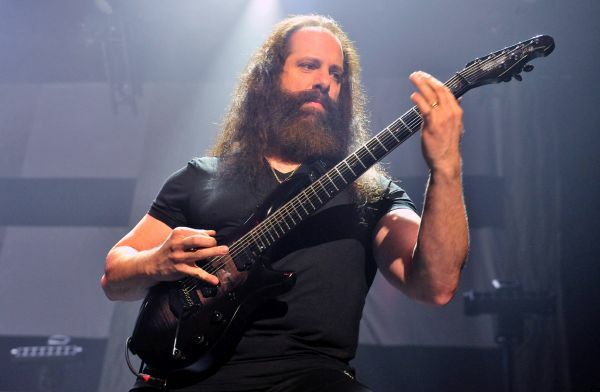 Petrucci played his parts with ultimate concentration but except for a few times when he was battling with Rudess or playing his guitar neck simultaneously alongside Myung, there wasn't too much contact with his fans. 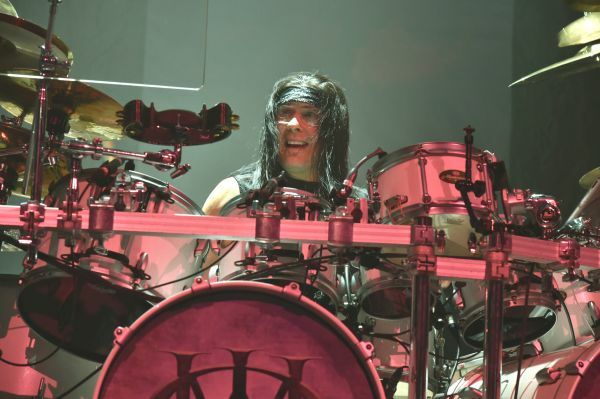 Mangini, most of the time practically 'buried' between all his drums and cymbals, only interacted with the fans during his obligatory drum-solo. No doubt he is a world class drummer and maybe he fits in more like his illustrious predecessor Mike Portnoy. Fact is Ytseyam records seems to be vanished and the elements of surprise during tours and/or set lists seem to have disappeared. Maybe not the most crucial elements for a band but what I wanted to state is the band has changed a lot since Mike left and I wouldn't say for the better on all aspects. 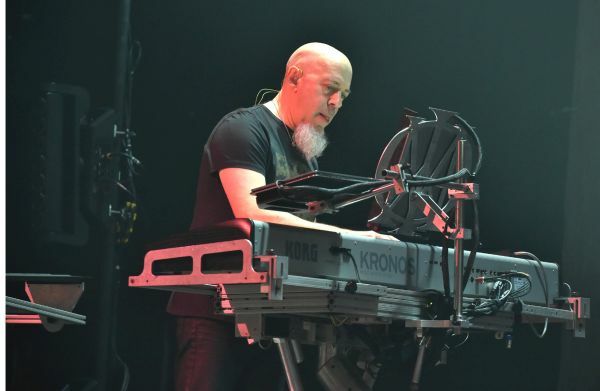 Jordan Rudess is not nicknamed/called a wizard for nothing: he is one of the very best keyboard players in and outside of this genre (if not the best! 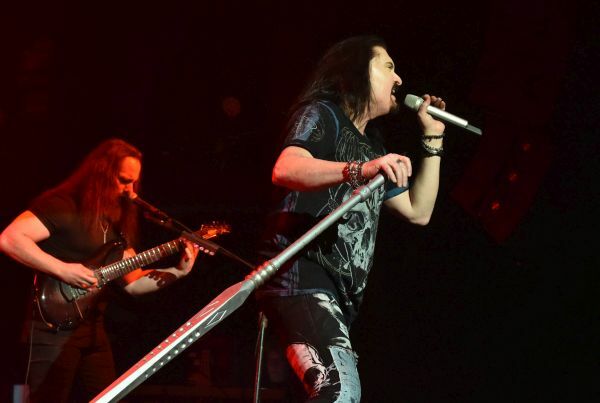 ), developed numerous apps for music-lovers (and is still doing so) and on stage he is the one guy besides LaBrie who will undertake some efforts to communicate with the Dream Theater fans and his fellow musicians. Both an incredible performer as well as an inventor and technical wizard in the true sense. LaBrie… what should I say? He has the problem so many vocalists have suffered from or are suffering from: Ian Anderson, Ian Gillan, Steve Walsh, Geddy Lee, Ray Alder, Geoff Tate, Fish, the list is endless. Only a few exceptions like Michael Sadler (Saga) or maybe Steve Hogarth (Marillion) have maintained their high level of being able to perform the studio recordings really well or even better. All the others had to deal with the limitations in their vocal performances due to particular substances, abusing their vocal cords (to many screams) and/or the effects from old age. James tried hard to come close to his performance from some 25 years ago but the studio is a different environment than a live show. Every note has to be on the spot, otherwise somebody (or many more) will hear any imperfection. One could appreciate his struggle with the many high notes from that illustrious second album and some went really well but mostly just about average. In spite of the extensions in many tracks by solo's (to give the singer more time to recover), his taking refuge to his 'magic potion' (a thermoscan with a cooling or soothing substance I presume) and his disappearing from the stage each time his presence was not required for more than about thirty seconds, I would grade his performance a 6- (on a scale of 1-10, 10 being superb). LaBrie pointed out that the band has this very special relationship with The Netherlands and that statement gained him a round of applause. Being a front man it surprised me he went off stage so many times and I refer to my previous remark on 'professionalism' meaning that each individual played his part but that was about it. No extra's, nothing special to emphasize that special relationship with the Dutch fans and that in itself was a bit of a disappointment. 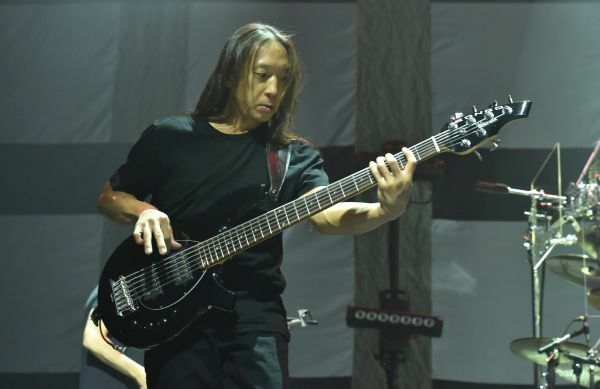 In conclusion there's no doubt in my mind whatsoever that Petrucci, Rudess, Myung and Mangini will be able to play every song Dream Theater has put out so far and will be able to do that 15 years from now but their singer will most certainly not be able to reach that high level the fans expect from this band. For their next record it would be a good idea to have LaBrie singing in a lower key, that is far more suitable for him and much better for his voice too!